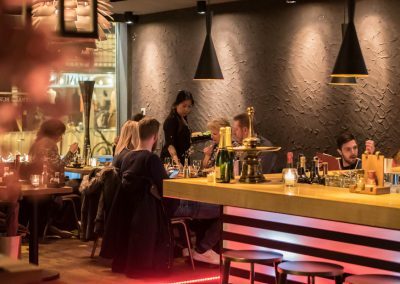 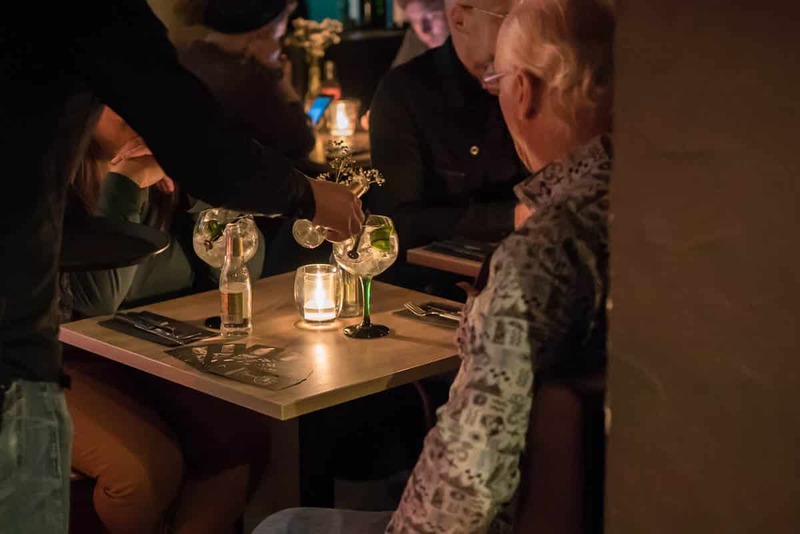 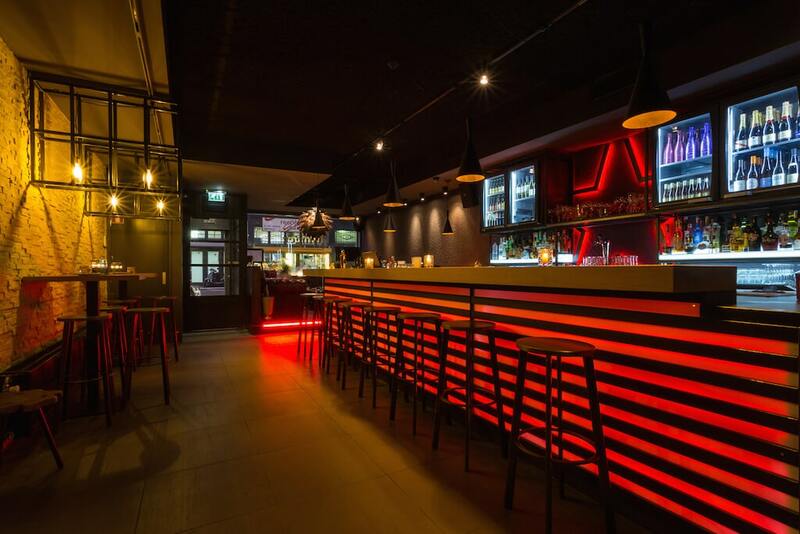 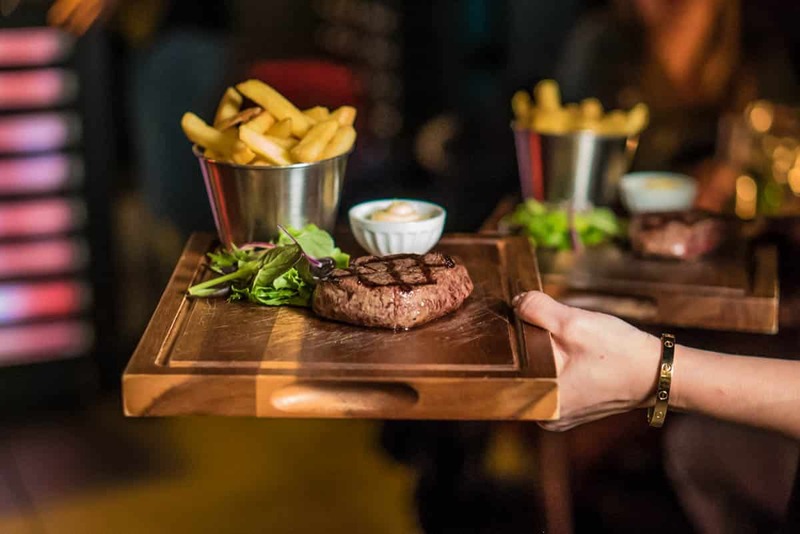 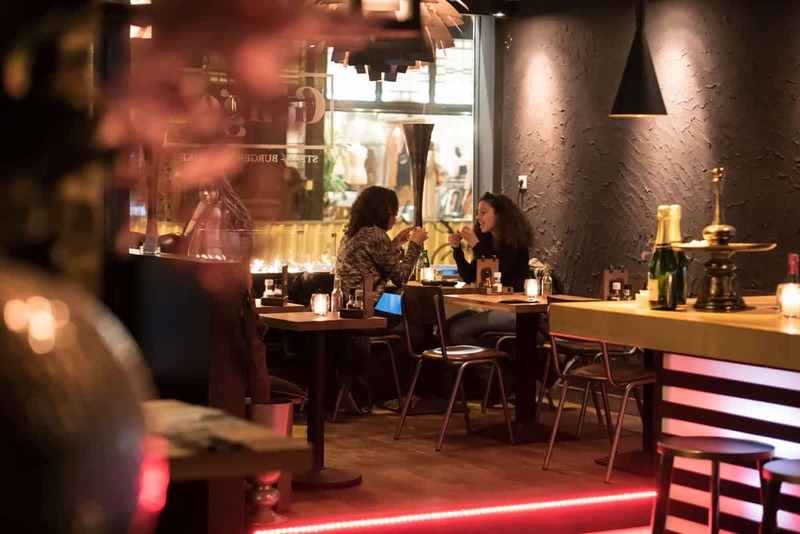 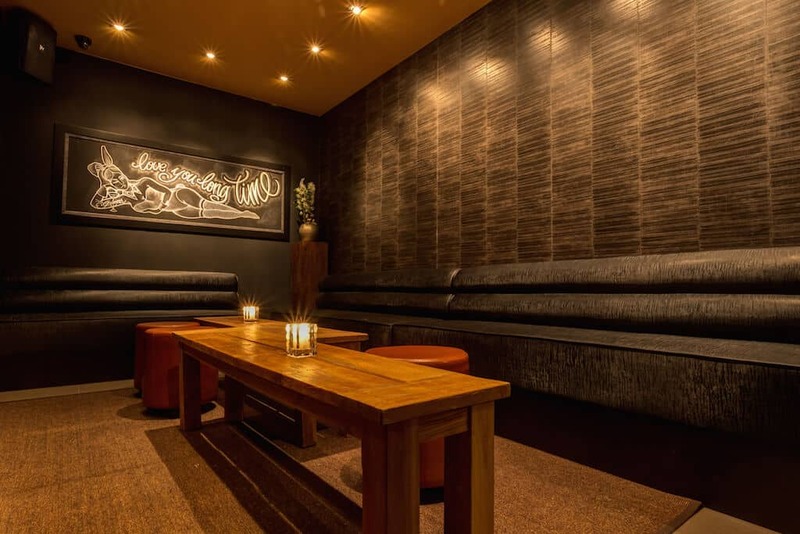 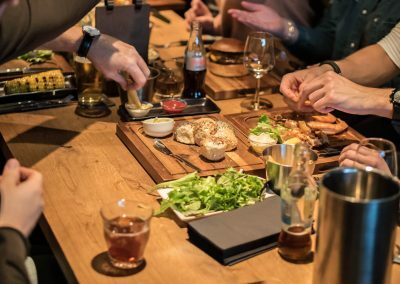 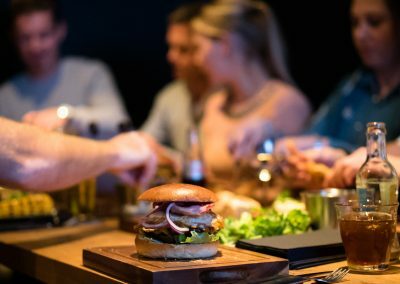 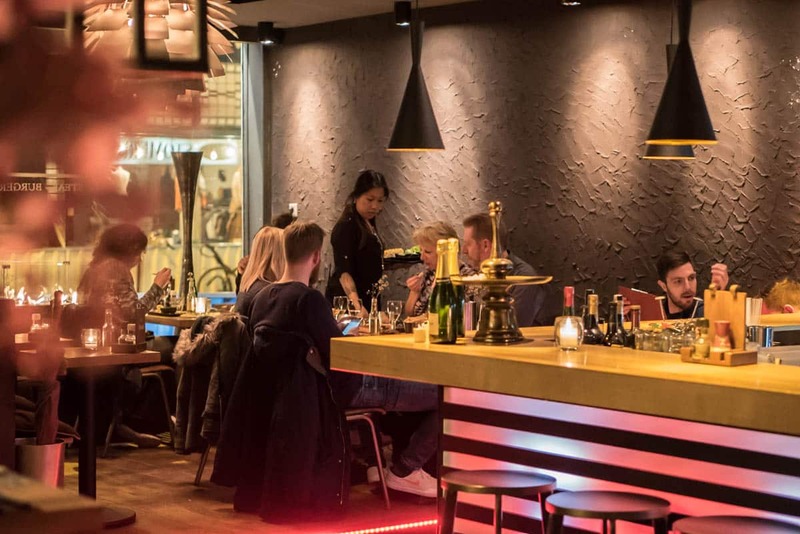 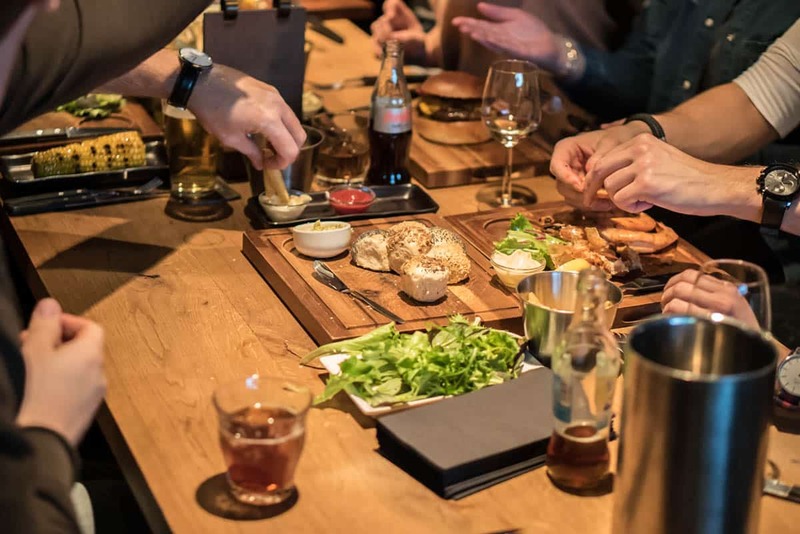 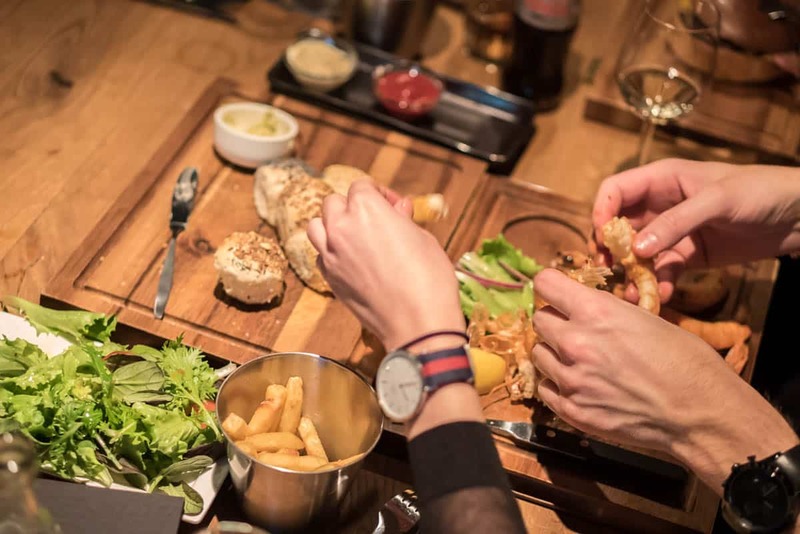 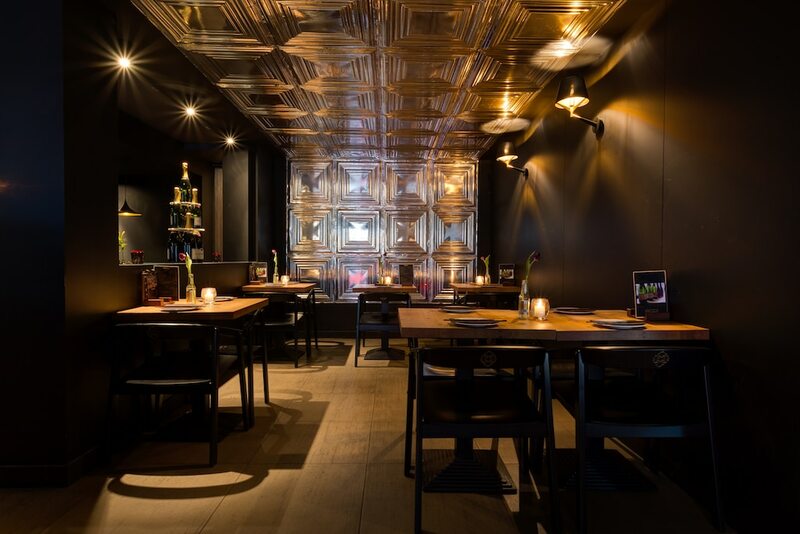 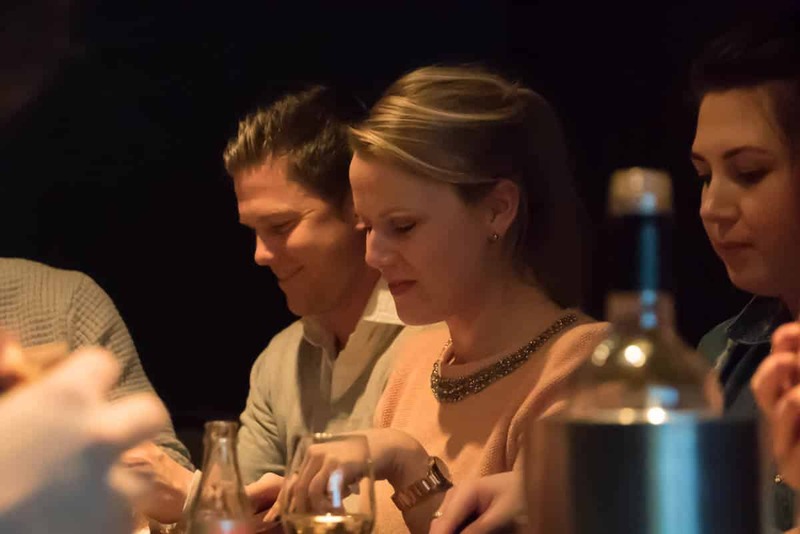 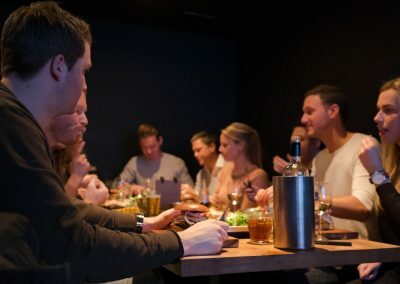 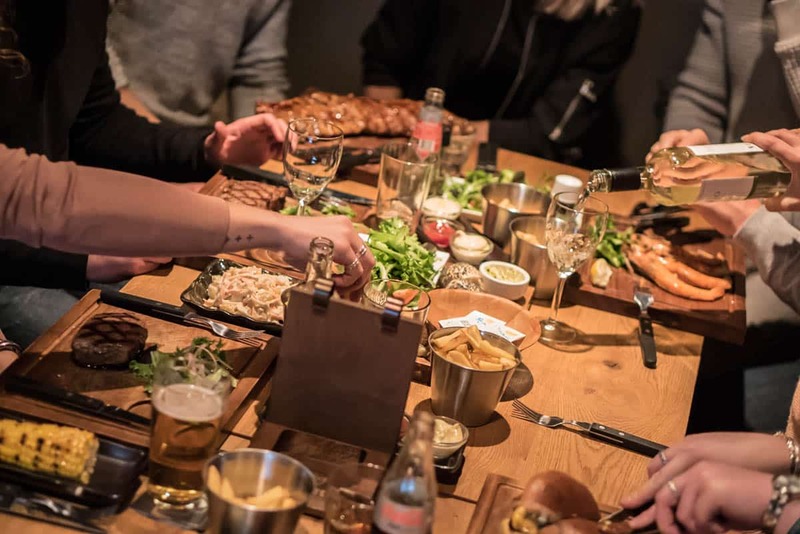 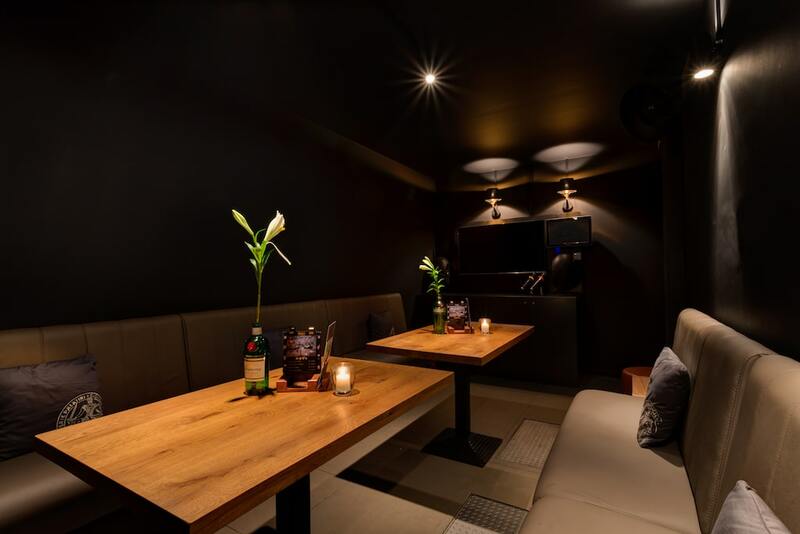 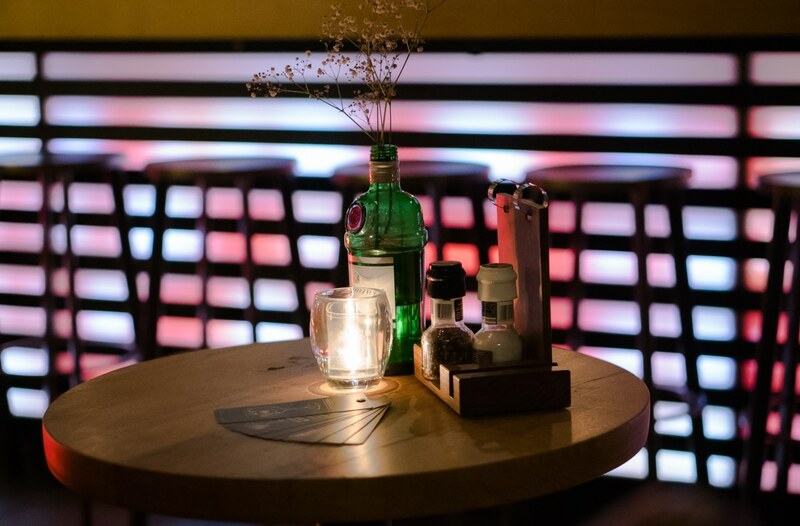 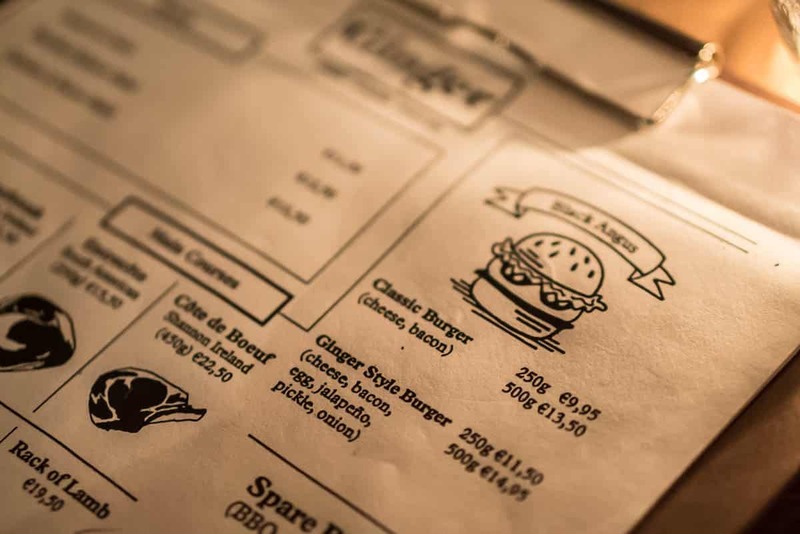 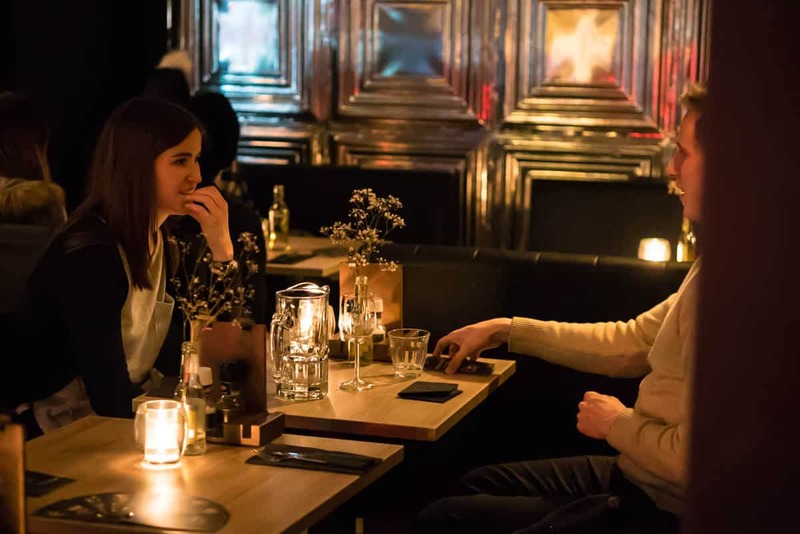 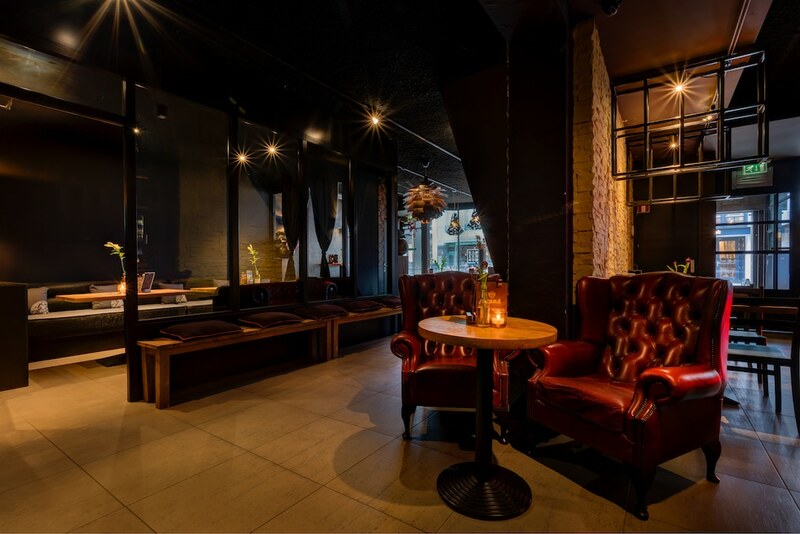 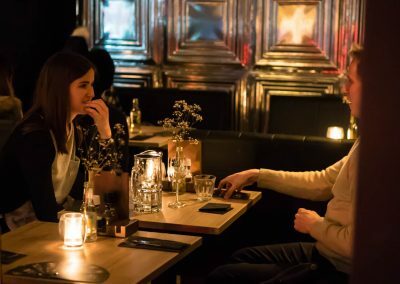 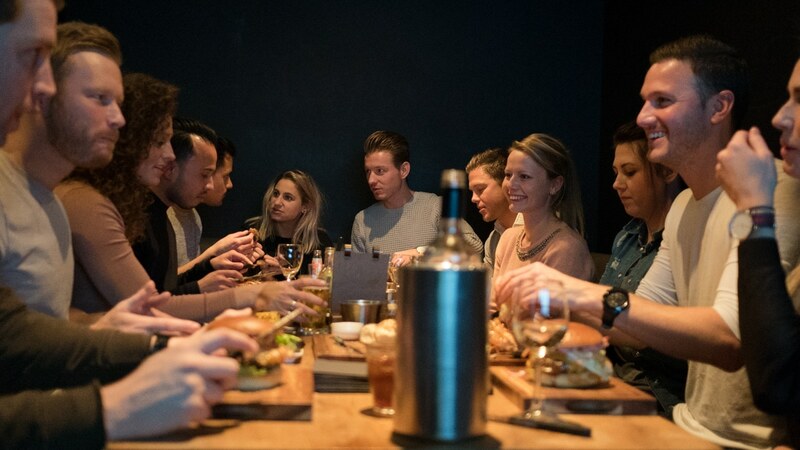 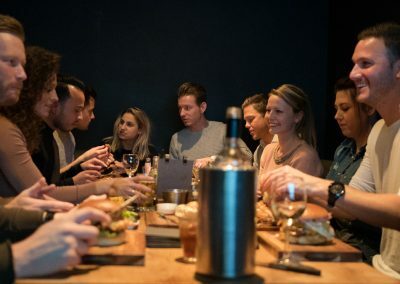 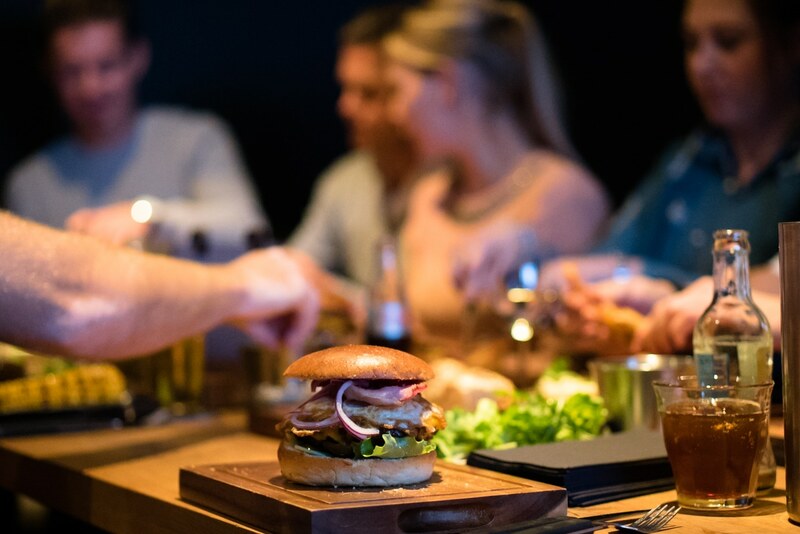 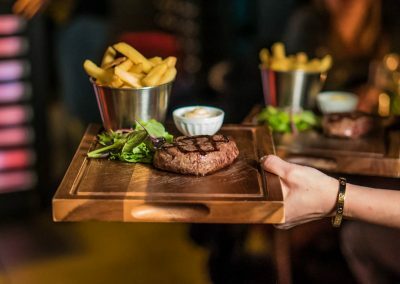 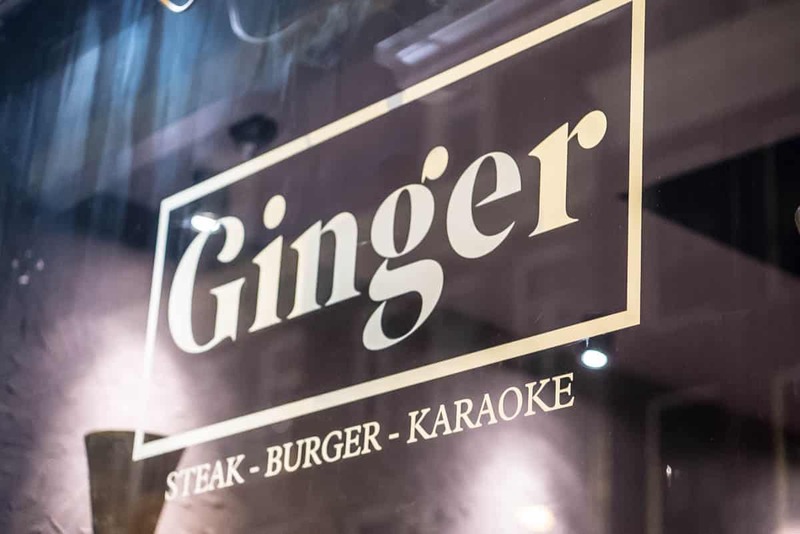 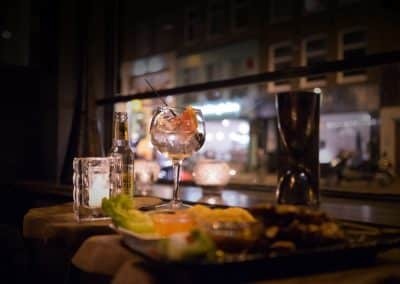 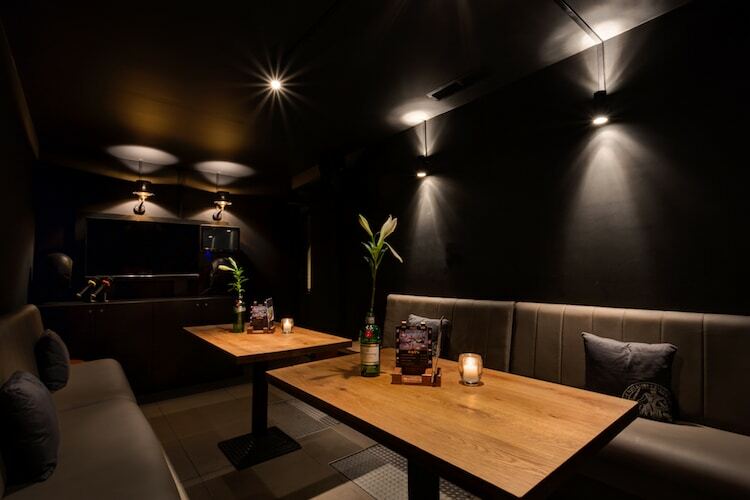 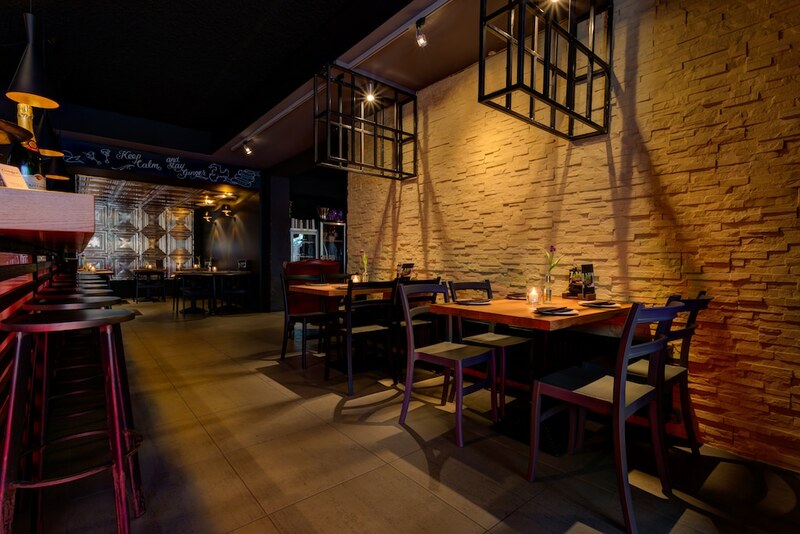 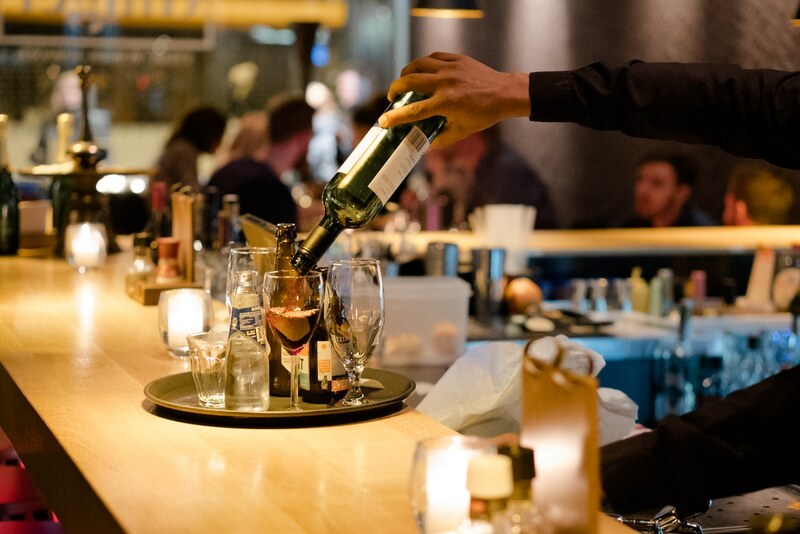 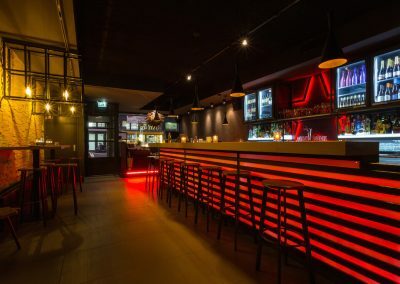 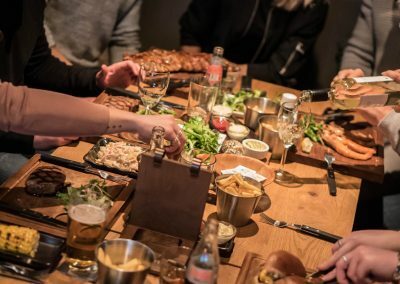 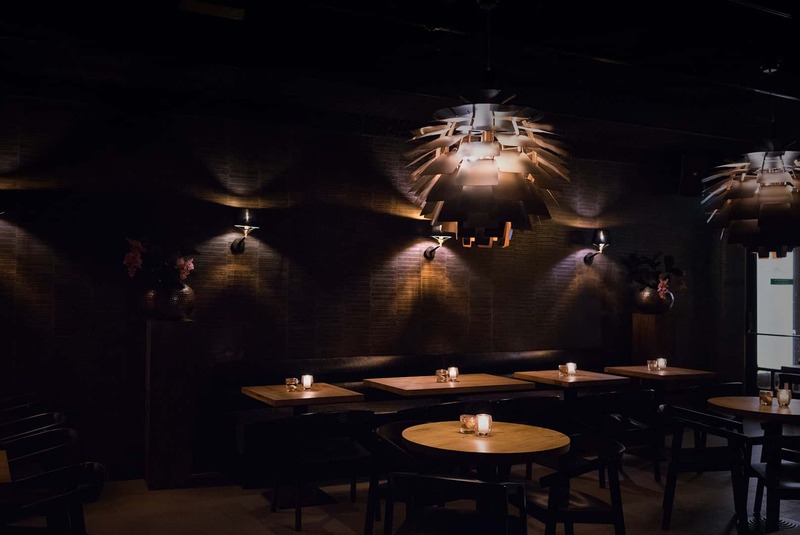 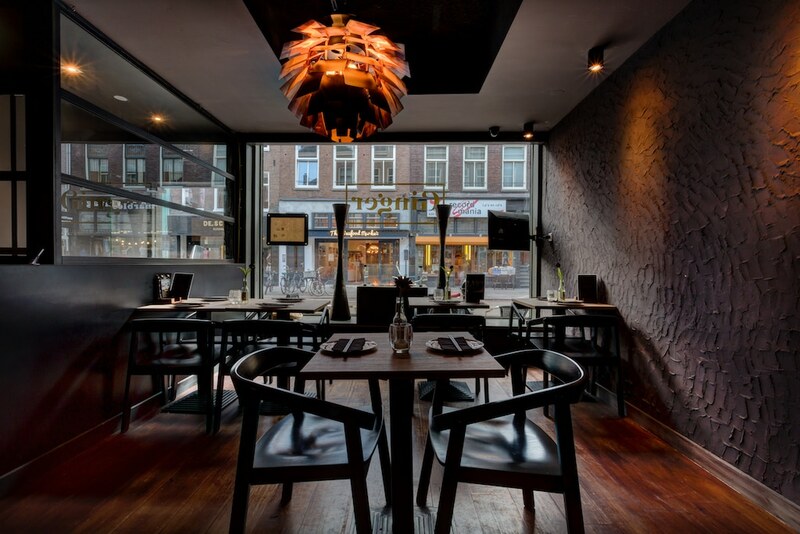 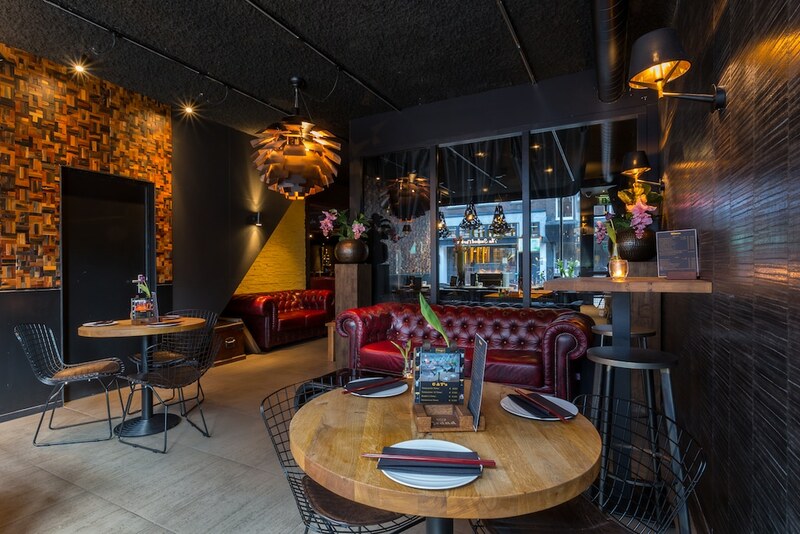 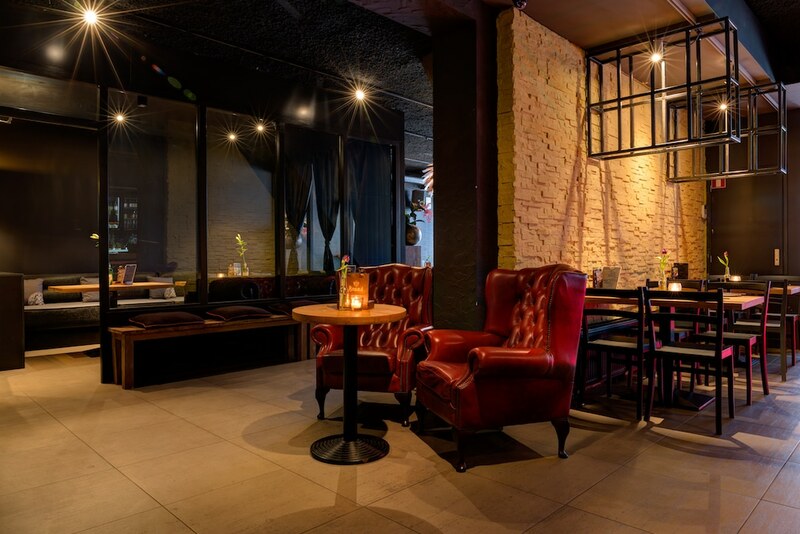 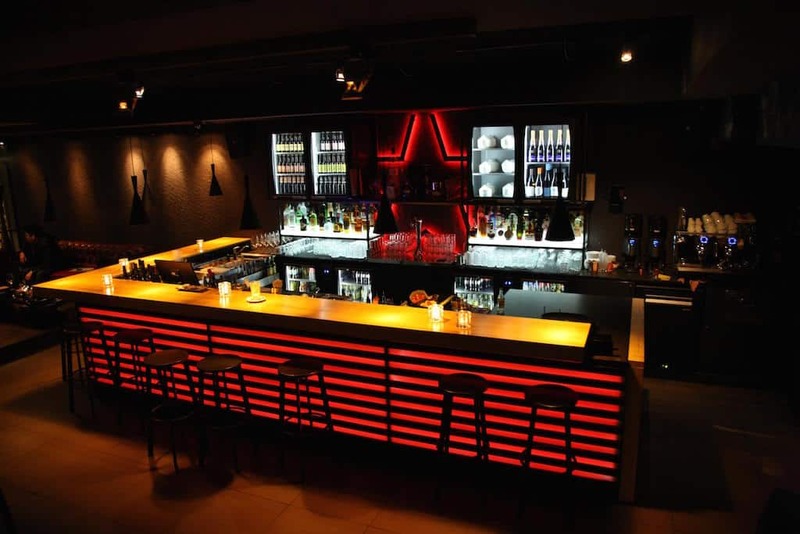 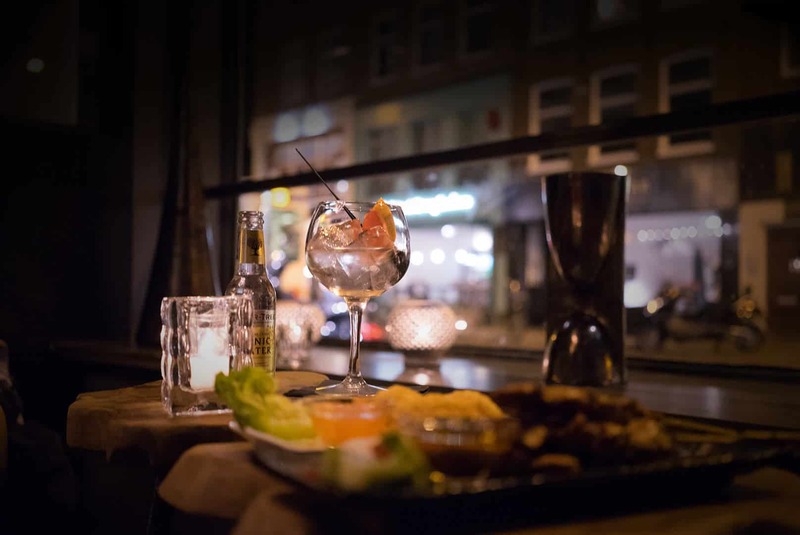 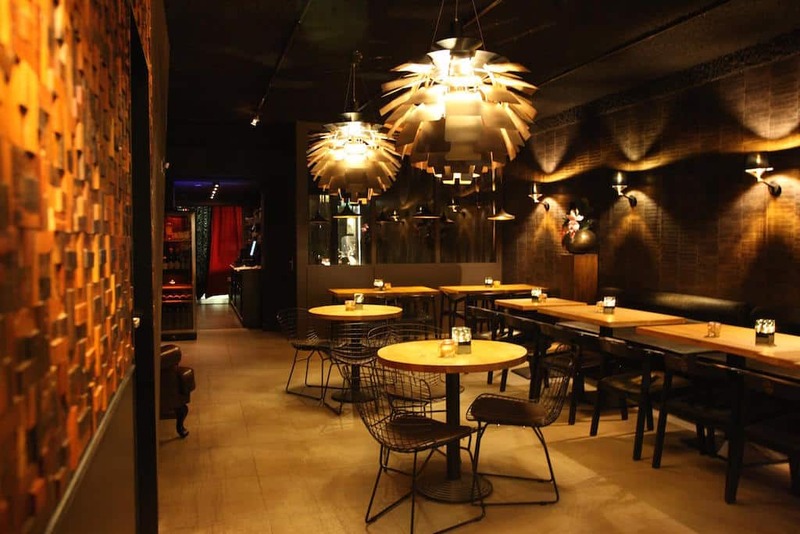 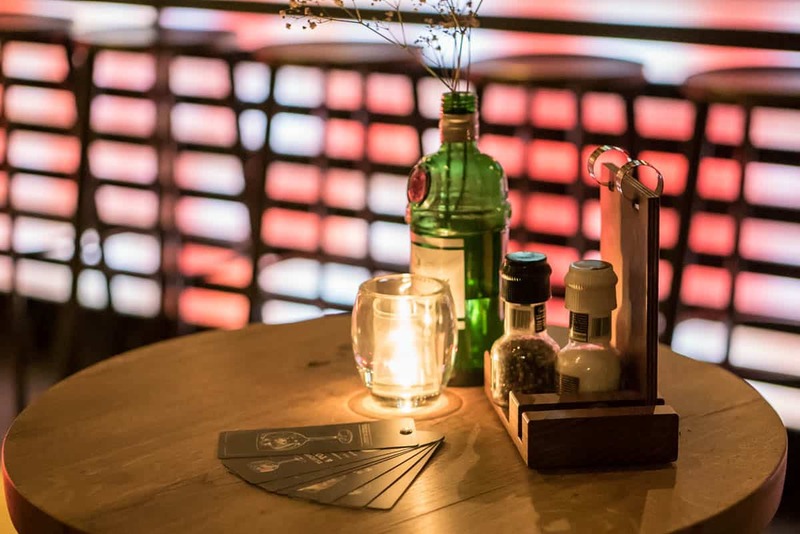 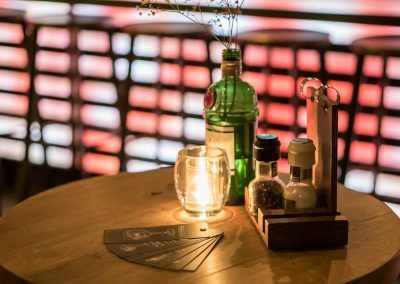 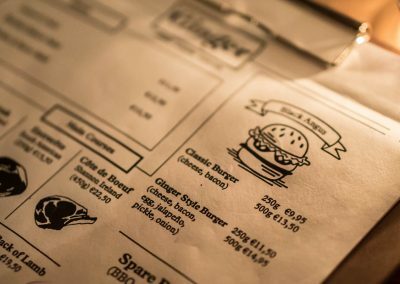 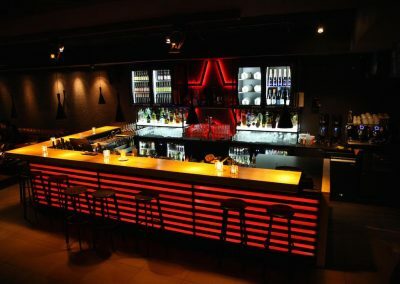 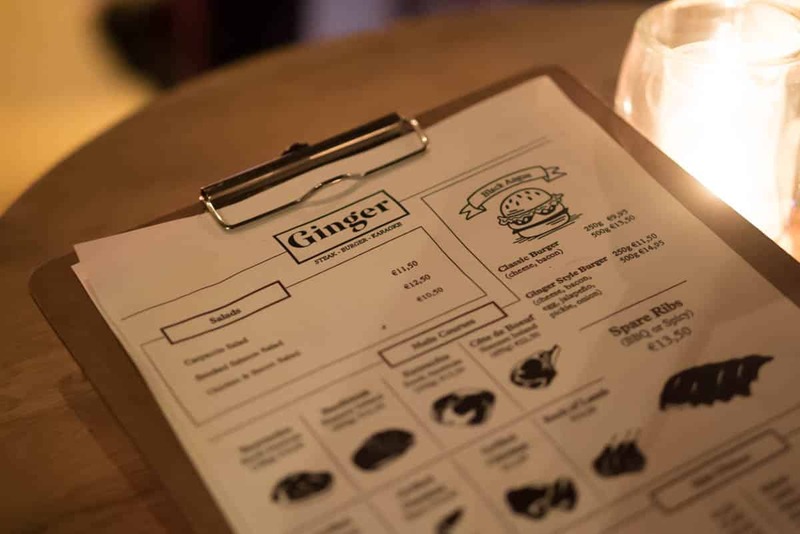 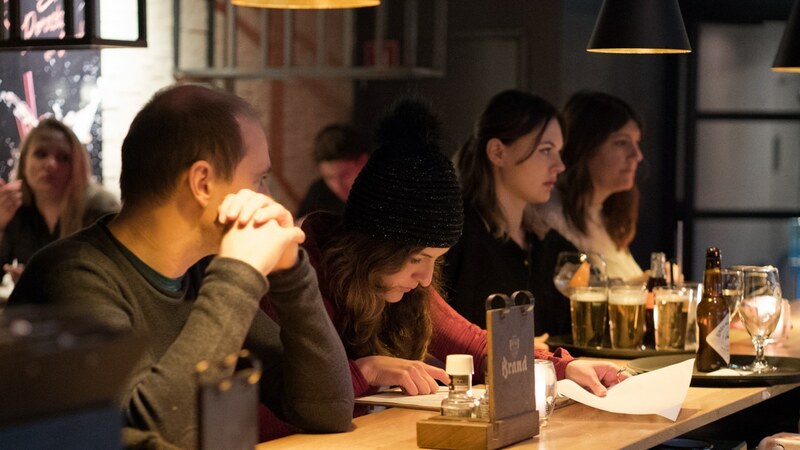 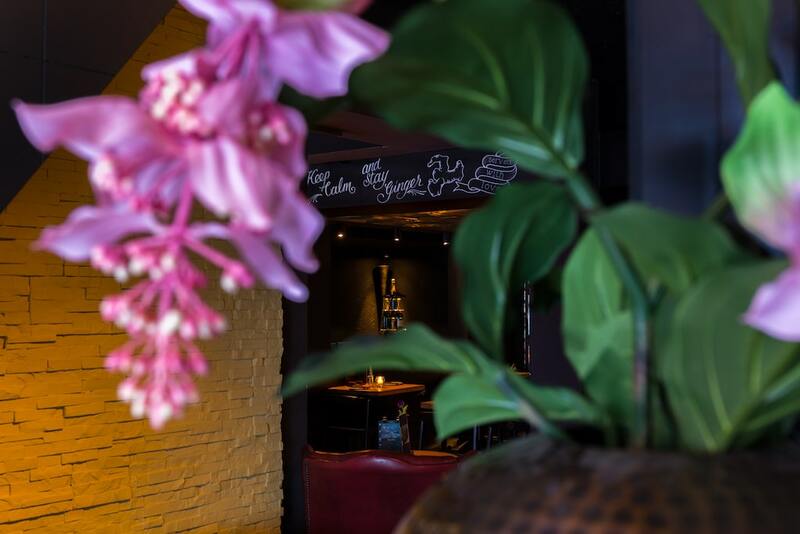 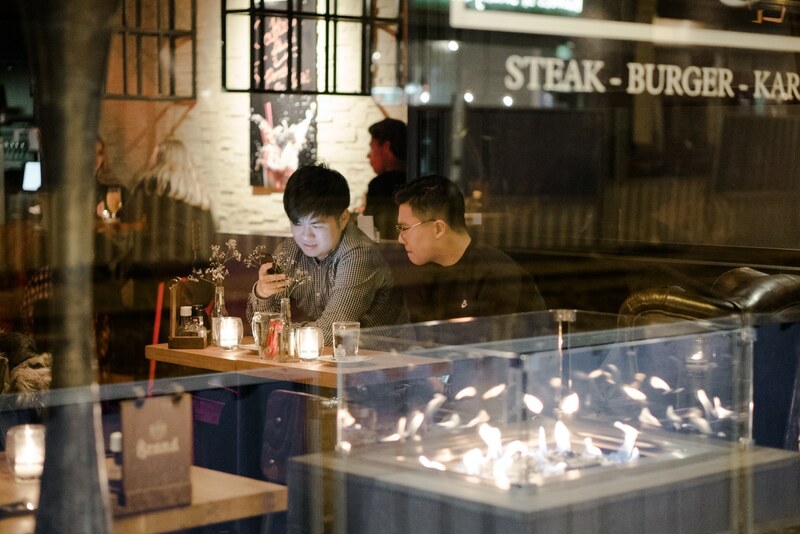 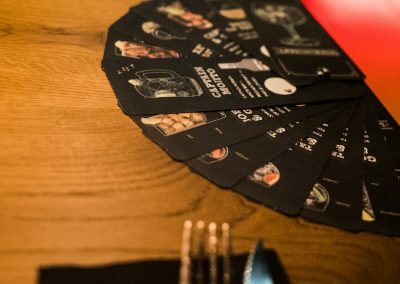 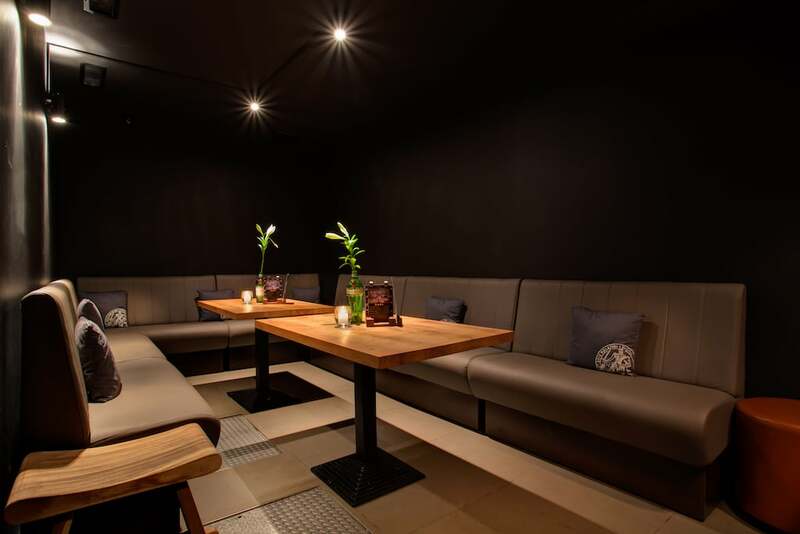 Ginger Amsterdam - Burger, Steak & Karaoke Bar - Book now! 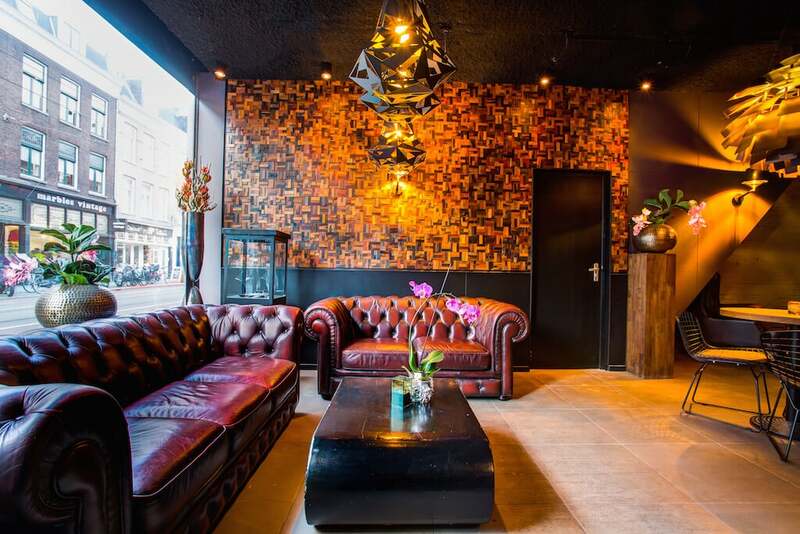 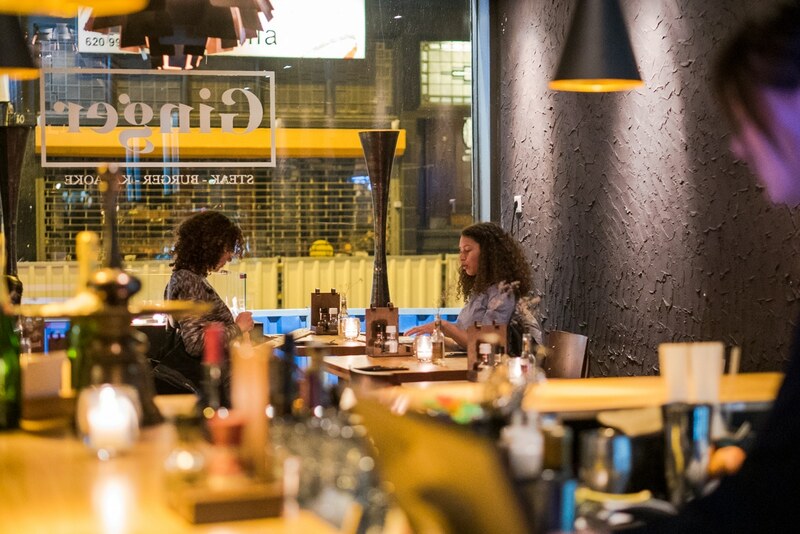 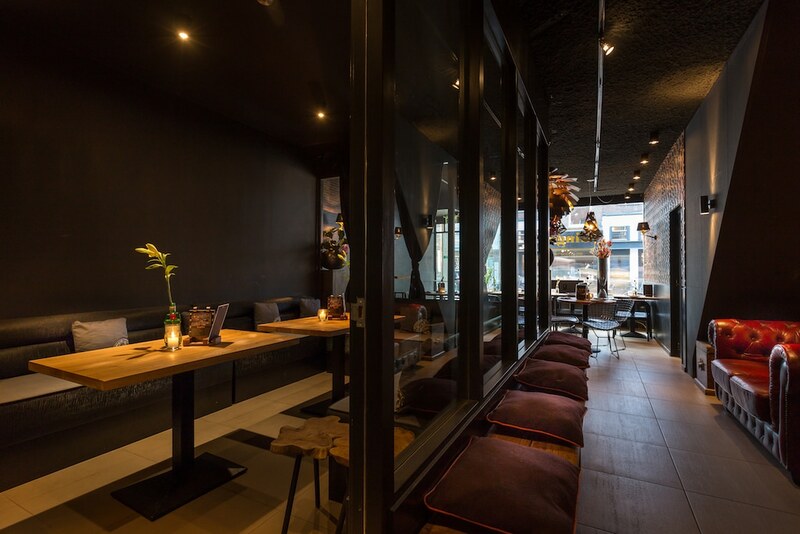 Located in ‘De Pijp’, one of Amsterdam’s most cosmopolitan and vibrant districts. 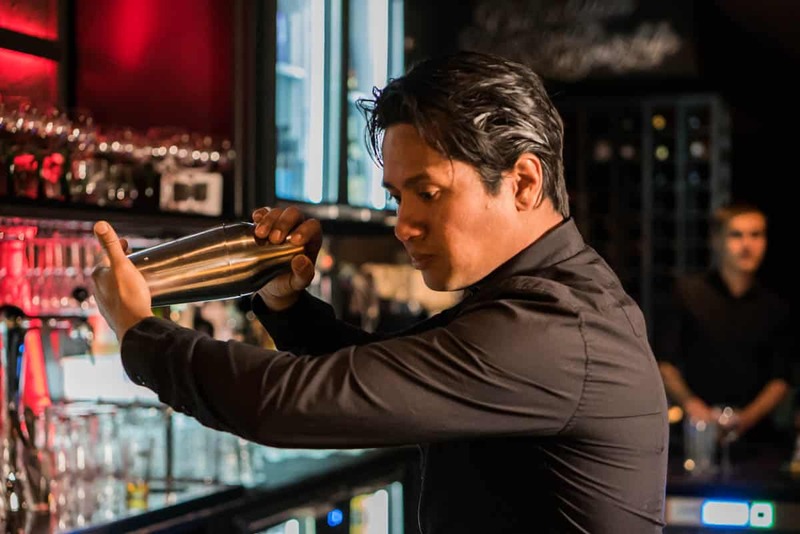 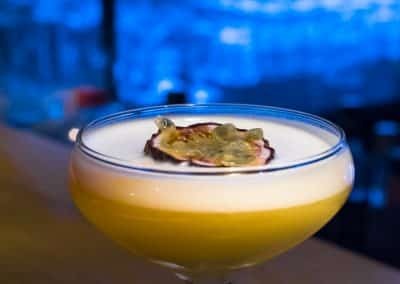 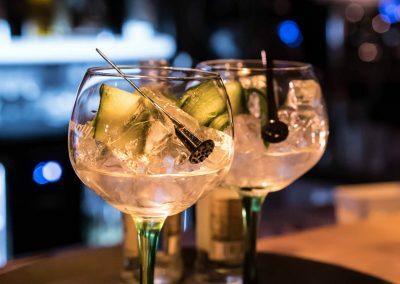 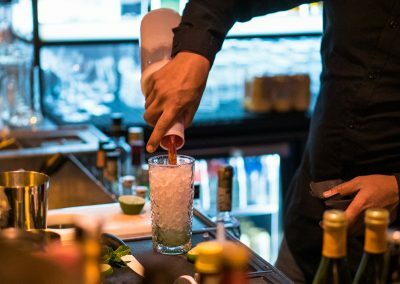 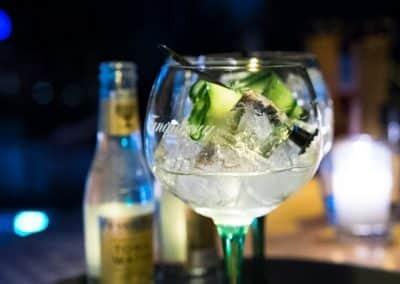 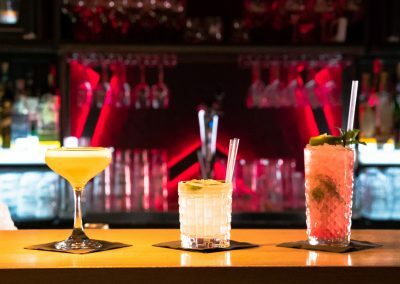 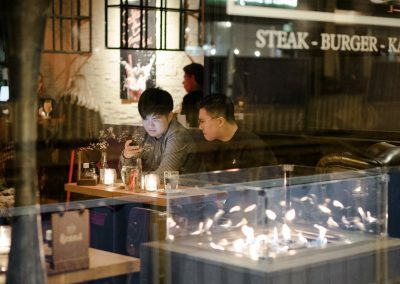 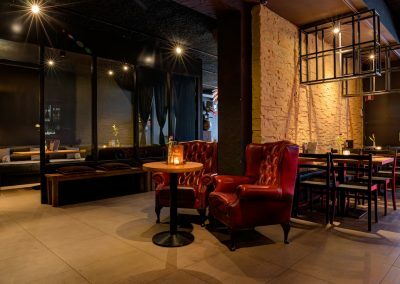 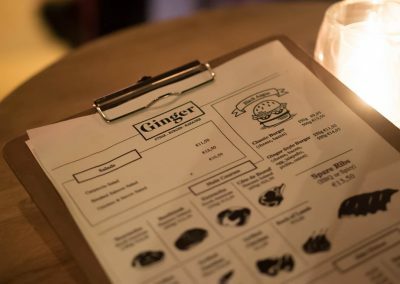 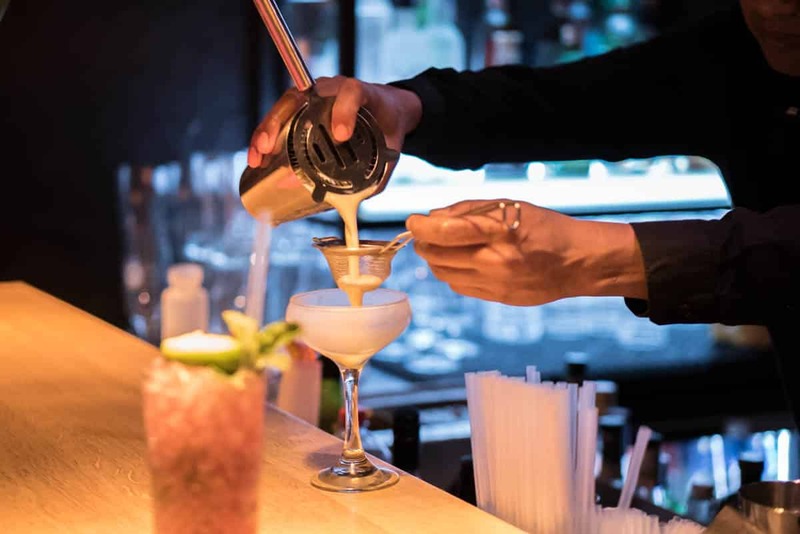 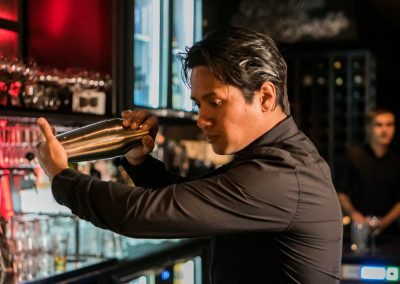 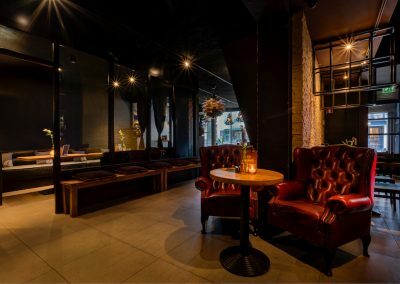 Ginger is more than a restaurant serving delicious steaks and burgers (*vegan options available), a cocktail bar and a karaoke bar, it is a concoction of all the above. 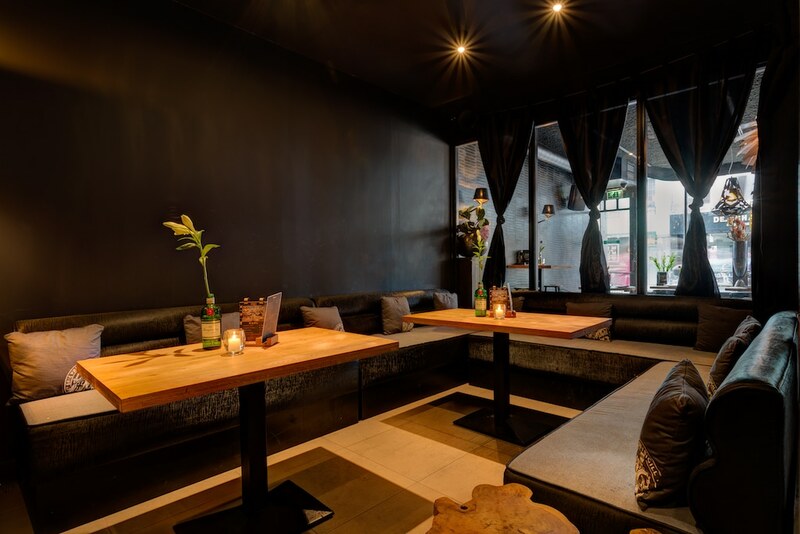 Ginger distinguishes itself with 3 private karaoke rooms where you can enjoy good food, good drinks, and sing your favourite songs. The restaurant and private karaoke rooms are all equipped with airconditioning. 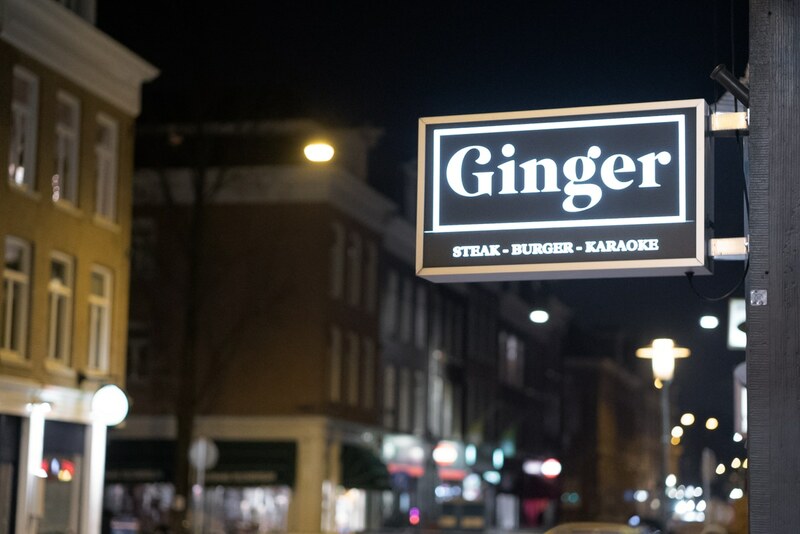 Please contact us via booking@gingeramsterdam.nl for other karaoke times and number of guests then mentioned. 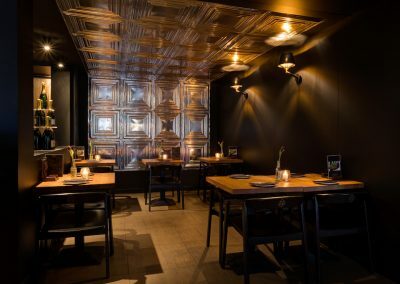 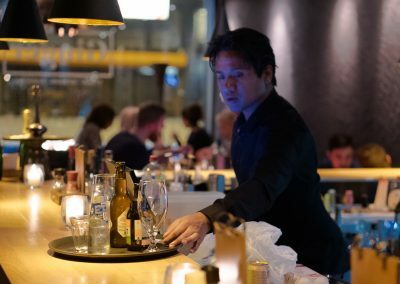 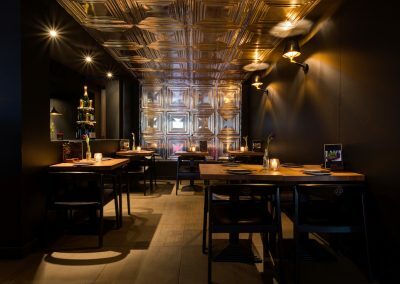 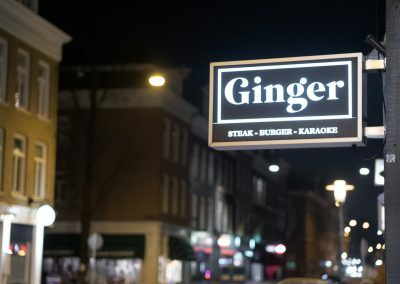 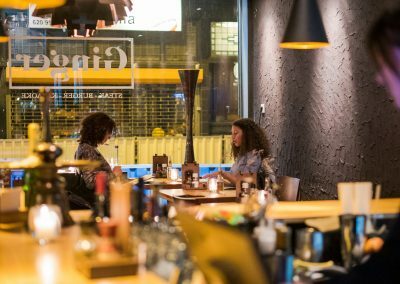 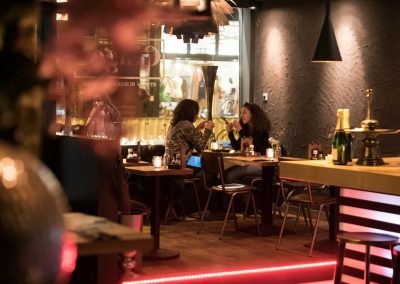 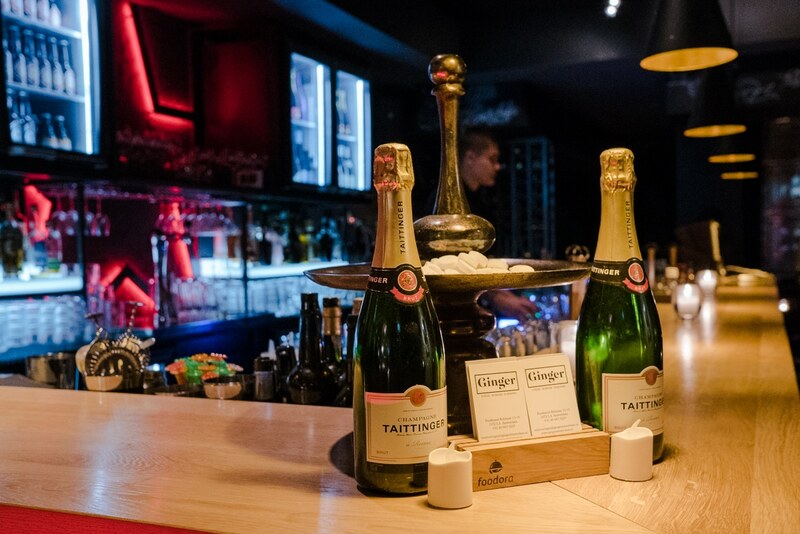 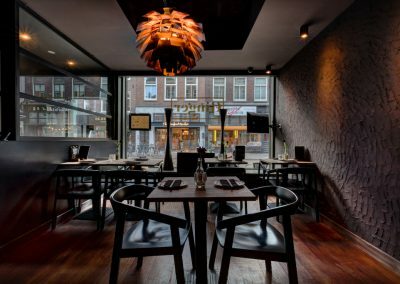 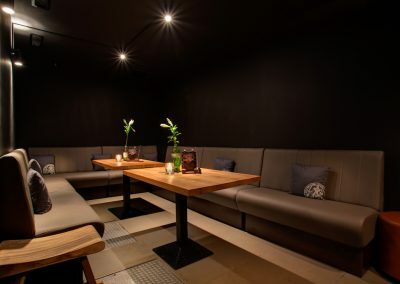 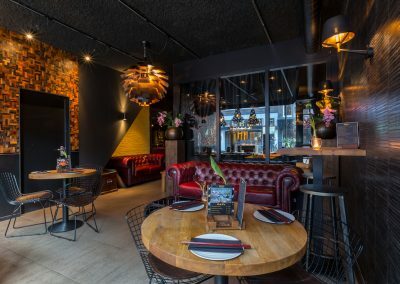 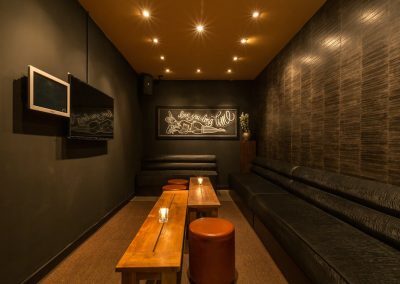 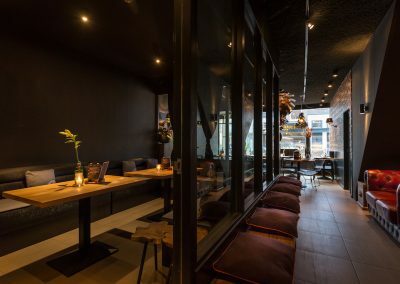 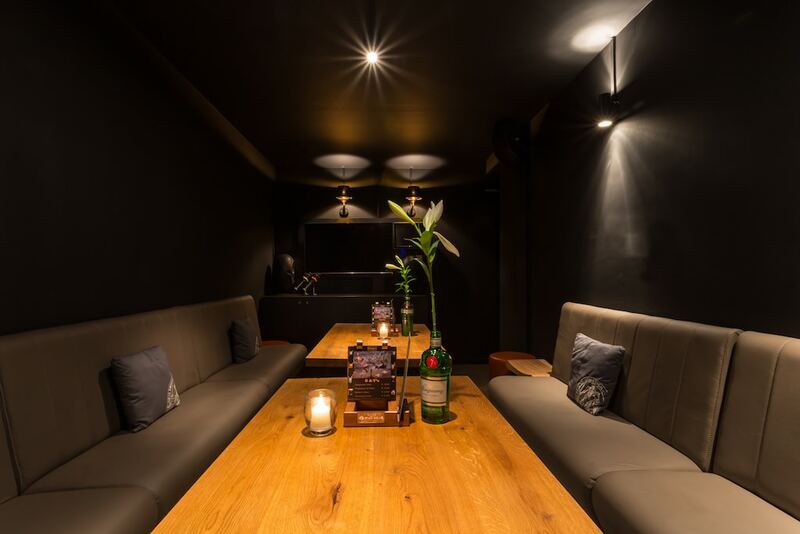 Ginger has private karaoke rooms, (equipped with airconditioning) the only restaurant in the Netherlands to have this unique feature. 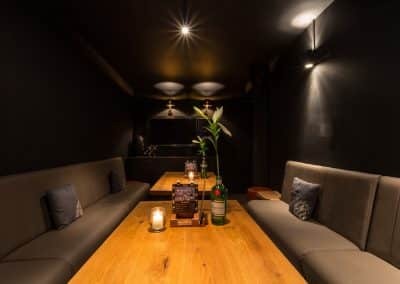 Our private karaoke rooms are in high demand. 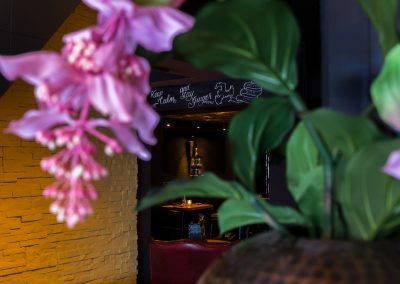 Therefore, to avoid walk-in disappointment, please book in advance. 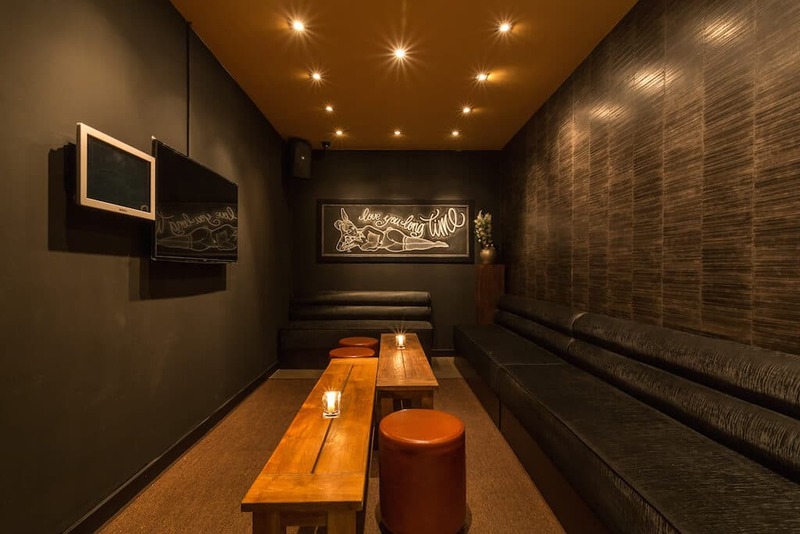 We have three private karaoke rooms which cater to both small (up to 25 people) and large groups. 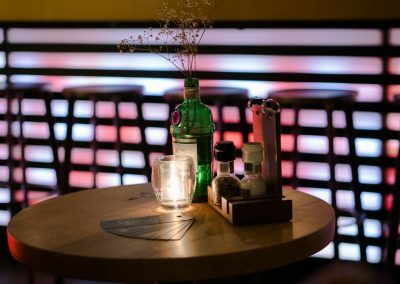 Our karaoke software is equipped with a vast selection of songs in various languages, from classics to the latest of pop culture. 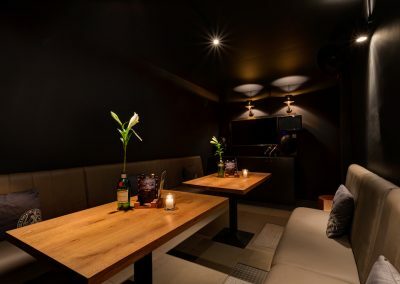 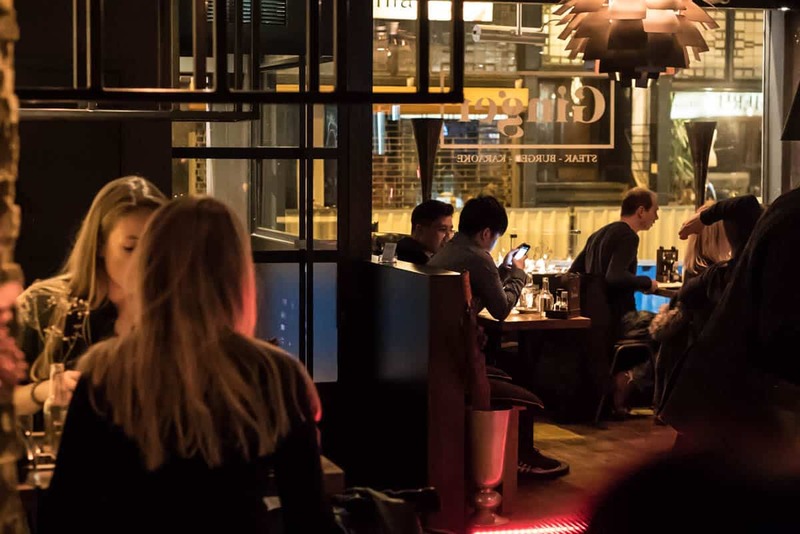 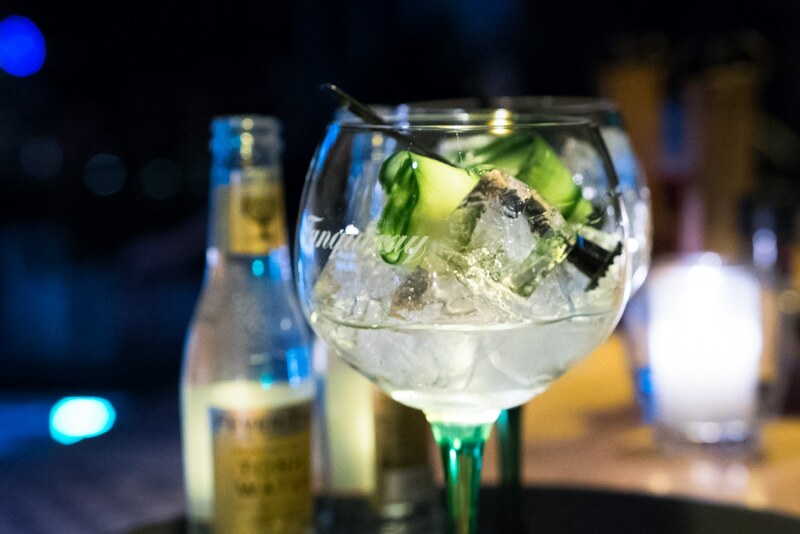 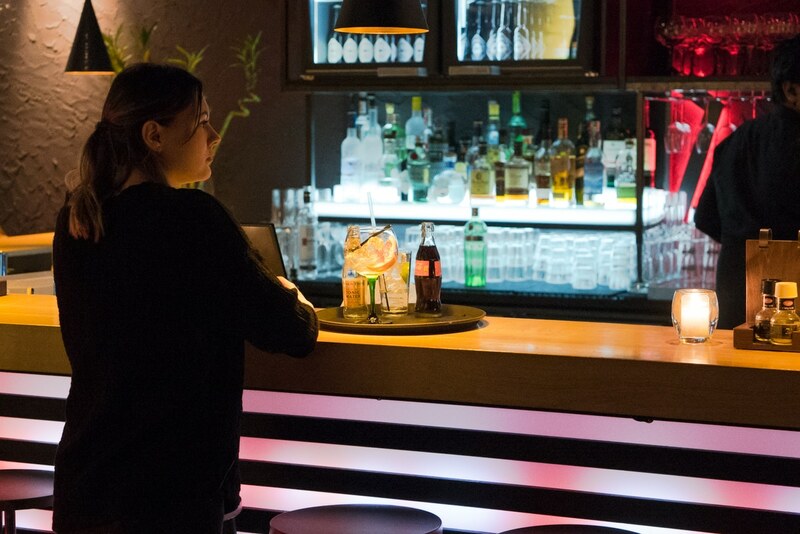 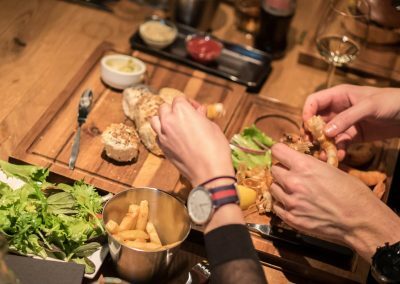 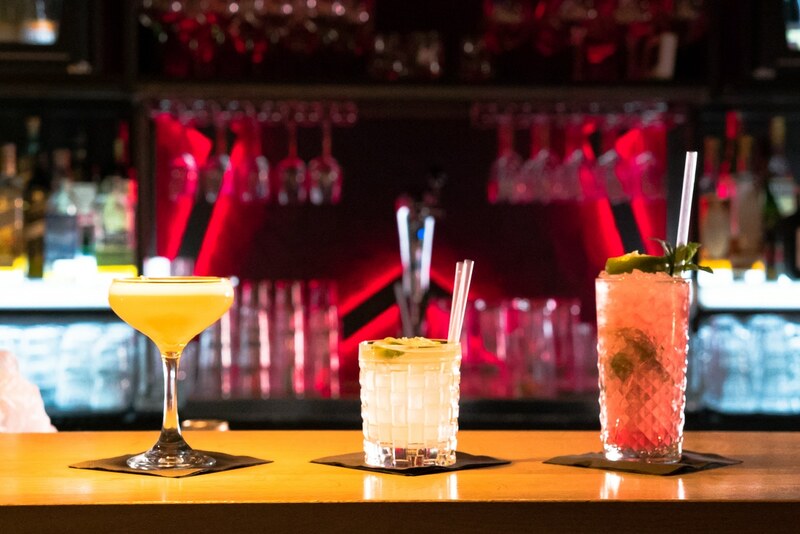 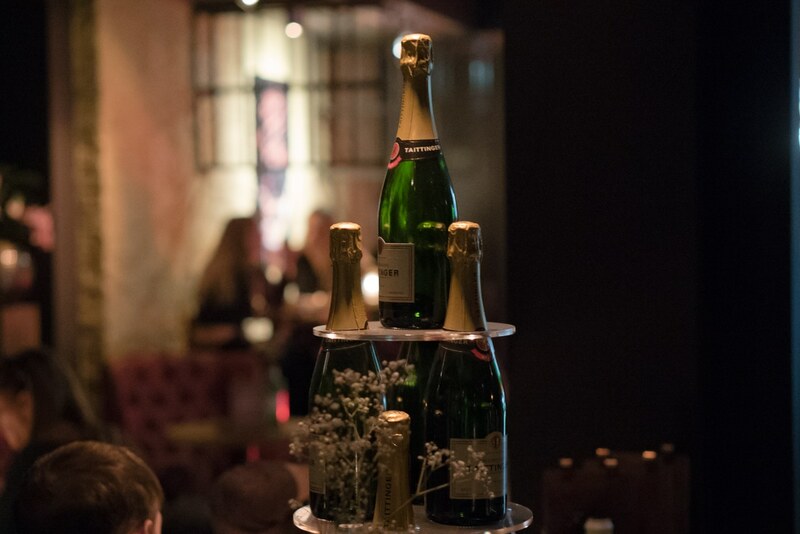 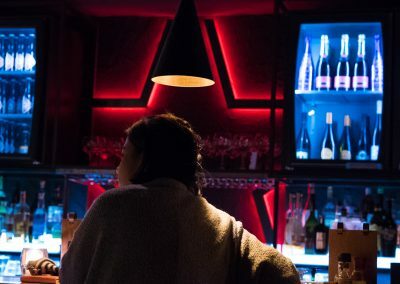 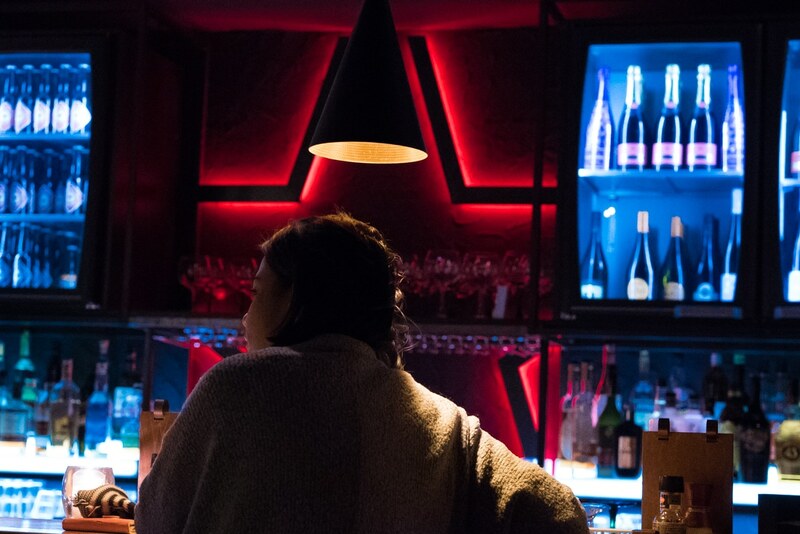 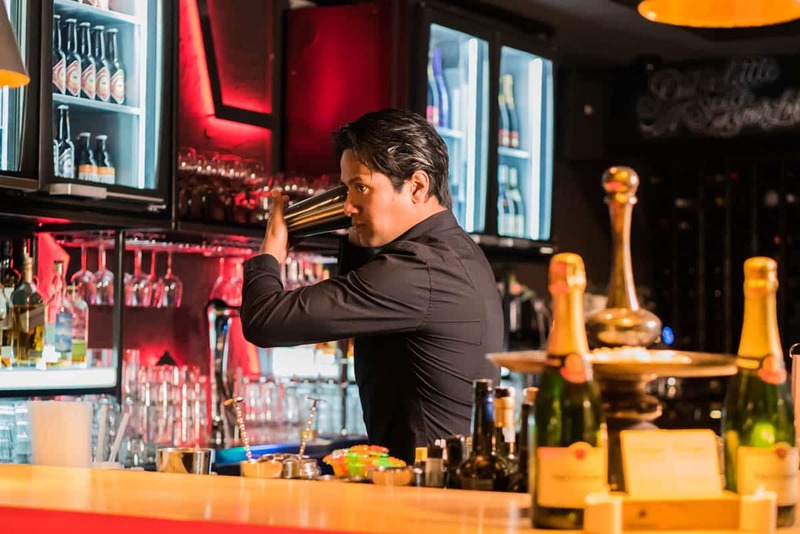 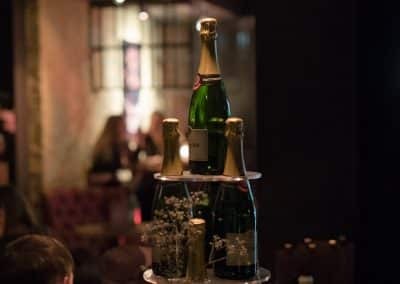 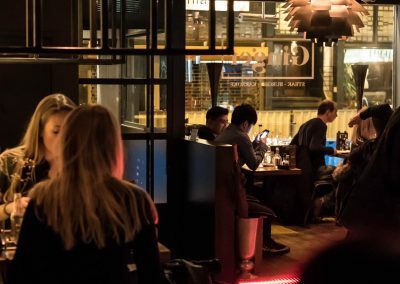 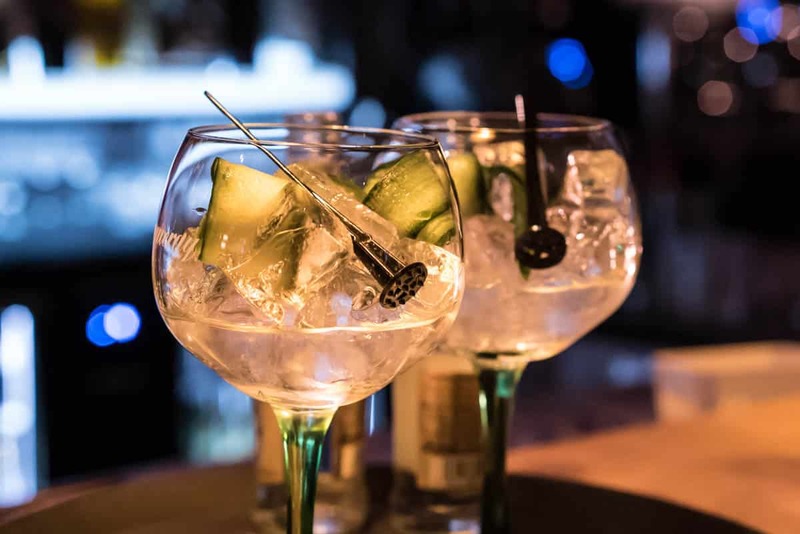 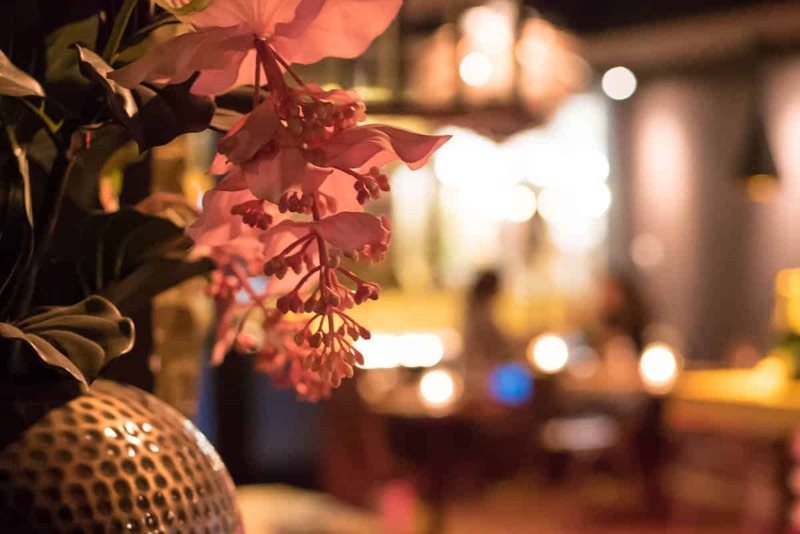 With a minimum spending of €250 on food and/or beverages à la carte from our menu (within three hours) the rental of a private karaoke room is free. 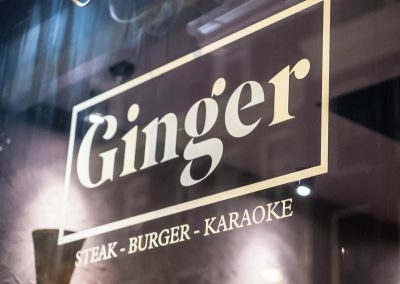 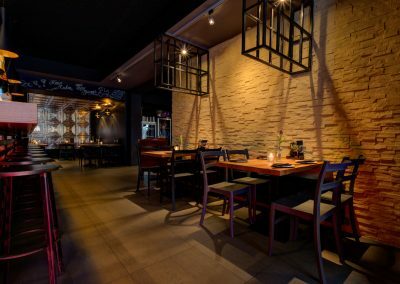 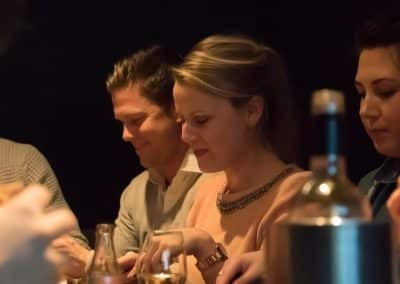 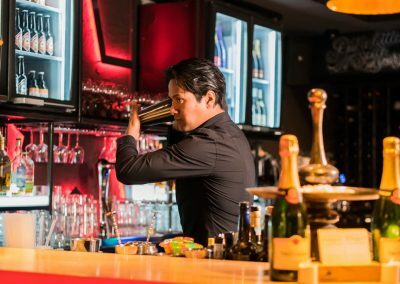 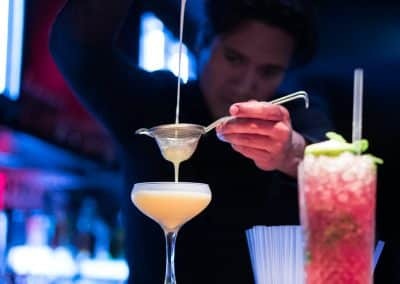 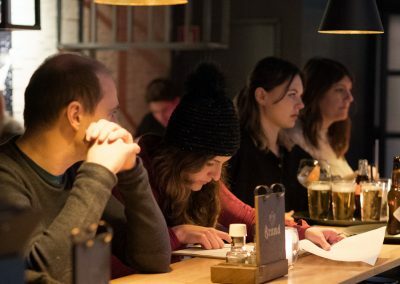 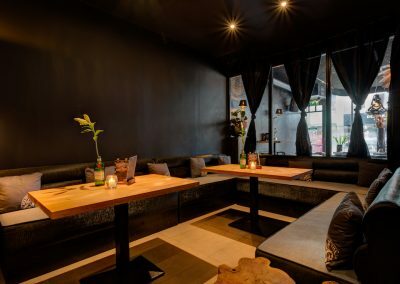 If you are looking for an unique experience or setting to host a special party or event; Ginger Burger, Steak & Karaoke Bar is the place to be! 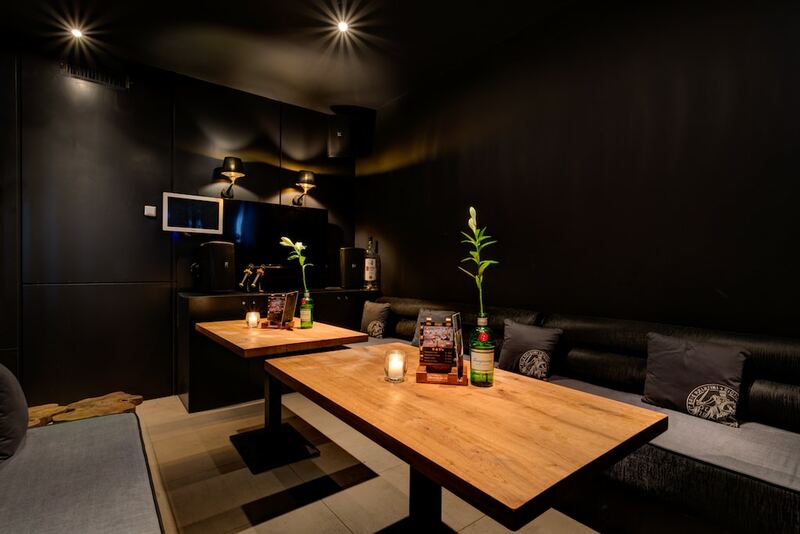 If you are interested in booking a karaoke room, please contact us so we can present you with all the available time slots. 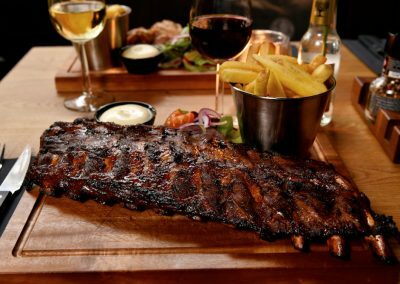 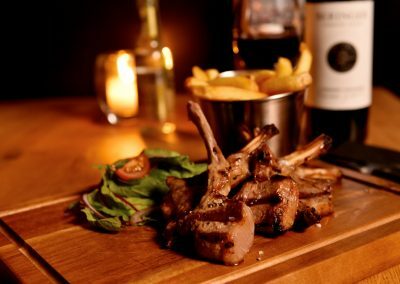 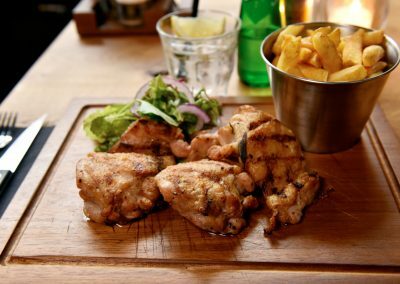 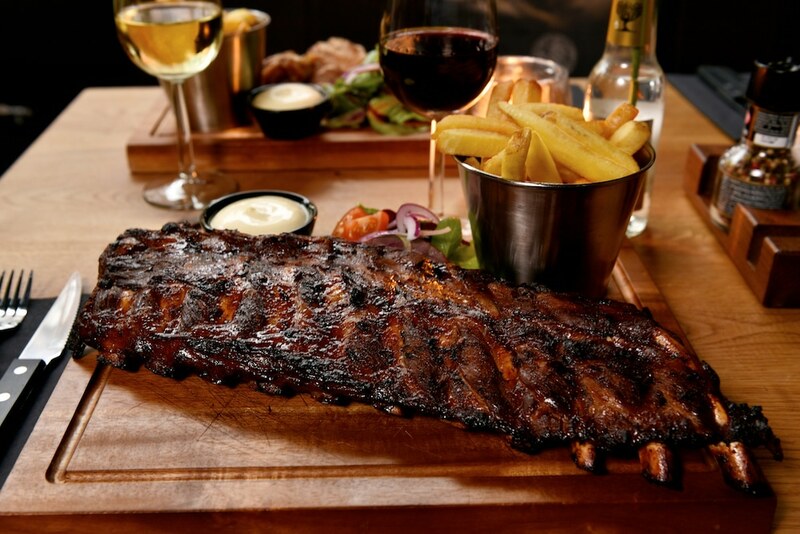 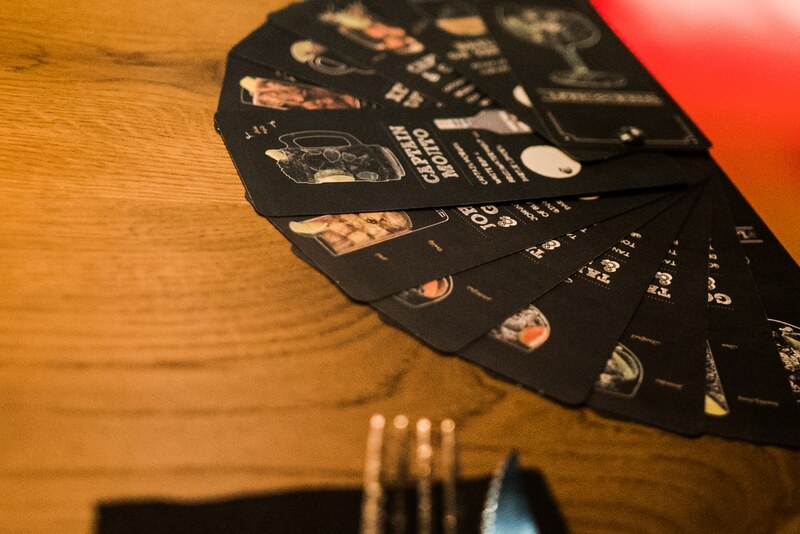 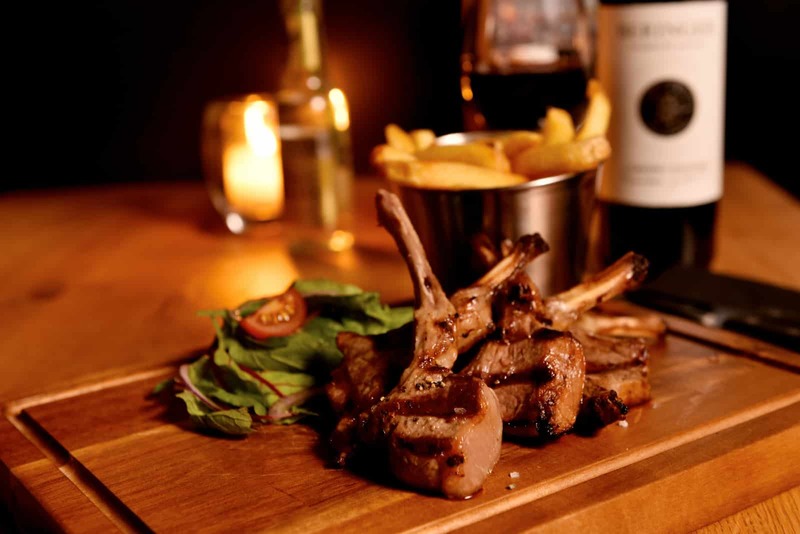 Drop us a note and let us know you’re coming, we’ll be happy to reserve a table for you. 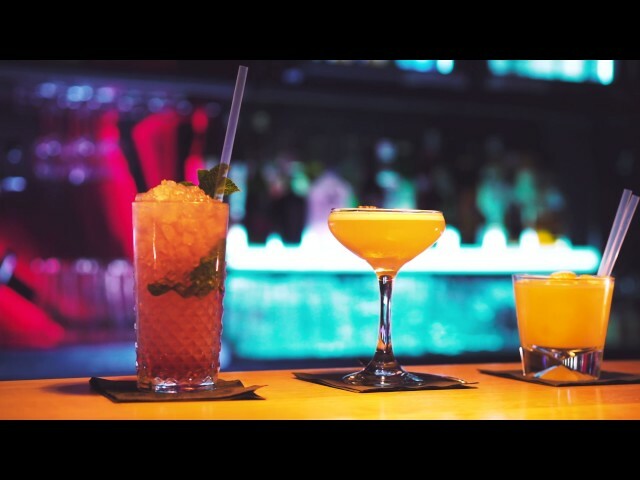 ￼When the weather is warm. 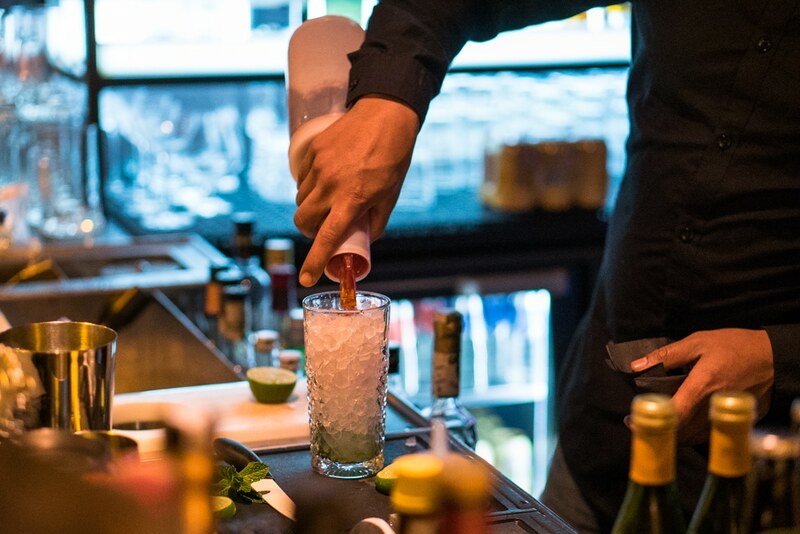 Take a sip. 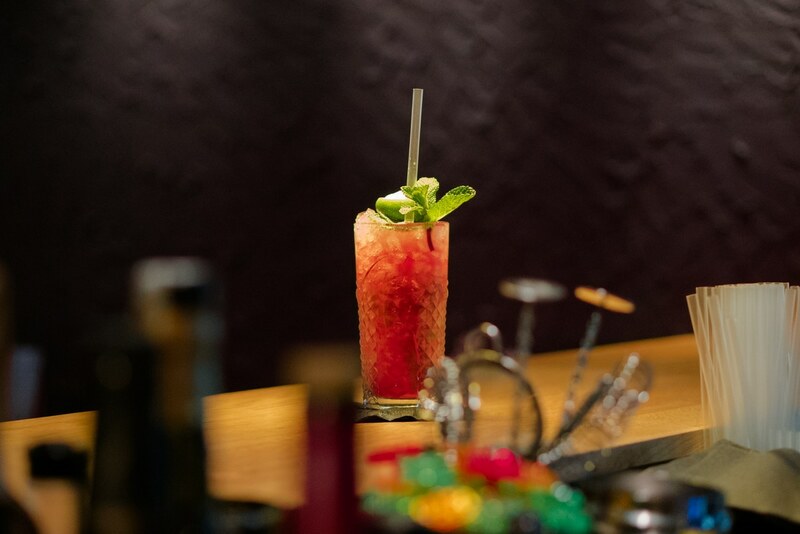 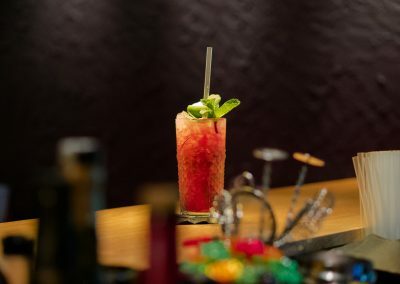 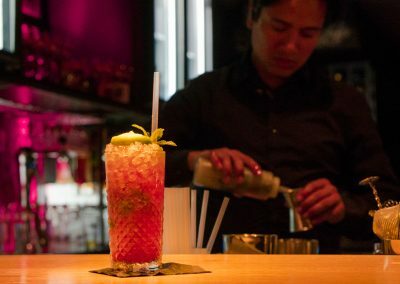 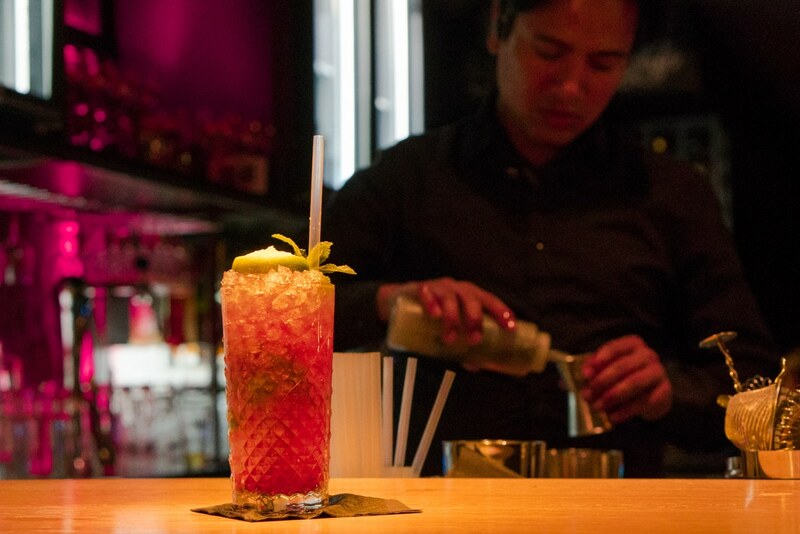 Meet our exotic Singapore Sling.